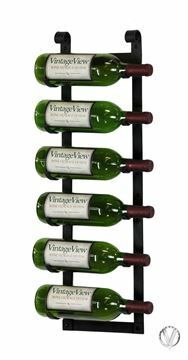 Wine Rack doesn't quite sum up what VintageView is so we call them Storage and Display Systems, because they don’t just store your wine like traditional racking, they display your wines too, with the labels facing toward you and your guests. 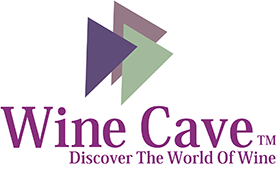 Another unique service by Wine Cave; is a whole slew of design offerings. These offerings include room design for wine storage; transformation of private rooms into wine storage. Simply just send us your room dimensions!!!! CAD Design is available up on request. 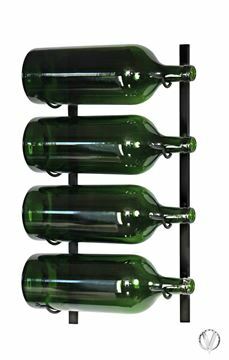 WSBIG1 4 Bottle 3 to 6 LT, Big Bottle Wall Mounted Wine Rack. LR1, Le Rustique, Holds six bottles. FCF-HD, Floor To Ceiling Mounted Frame.